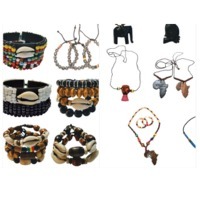 We supply african jewelry/jewellery including bracelets, necklaces in wood or wooden, plastic, beads or beading, African designs, braided at wholesale for an average price of $2.5 to $7 a piece. You can visit our retail online store at Novarena for all the designs that we offer and contact us for your wholesale order. 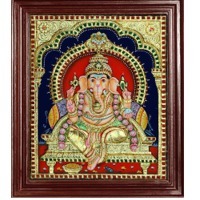 We also offer custom designs and orders. Short on time? 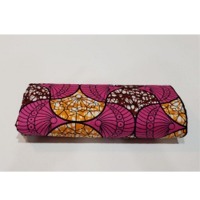 Let african-art sellers contact you. 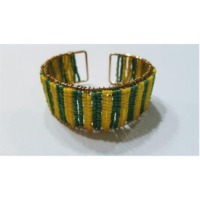 Product description Safari Lionel 1 Pc Bracelets for Men Women Beaded Bracelets Multi Layer Stackable Ethnic Tribal Bracelet 1 pc come as a set,1 set of bangles Beads bracelet set Adjustable size What makes this bracelet set better? *1 pieces of multi-layer bracelet,Giving you versatility and options. *Different colors and material bracelets assorted, Easily Matching with Any Clothes. *They look fantastic when worn stacked together or alone, fashion enough for any occasion *It will take your outfits to the next level. *Adjustable Length,suitable both for men or women,girls or boys, younger or elder people. *Must-have multi-layer bracelet this summer,perfect as daily jewelry *This bracelet will contour well onto the shape of your wrist for a comfortable wear. A Popular and Decent Accessory no Matter for Working, Traveling or Partying. 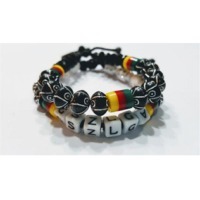 Safari Lionel 1 Pc Bracelets for Men Women Beaded Bracelets Multi Layer Stackable Ethnic Tribal African Bracelet - Laura Baby and Company Ethnic Bracelets Safari Lionel 1 Pc Bracelets for Men Women Beaded Bracelets Multi Layer Stackable Ethnic Tribal African Bracelet B11 $19.99 ?? FREE SHIPPING ON ALL ORDERS! 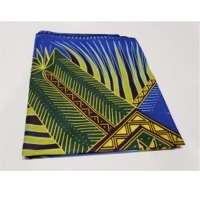 Quantity 1 ADD TO CART Wholesale Pricing	Discount	Wholesale Price Min. Quantity: 12 +	40.00% Off	$11.99 Min. 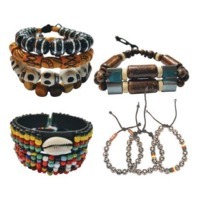 Quantity: 200 +	50.00% Off	$9.99 Deal of the Day 00:15:21 Secure and trusted checkout with Product description Safari Lionel 1 Pc Bracelets for Men Women Beaded Bracelets Multi Layer Stackable Ethnic Tribal Bracelet 1 pc come as a set,1 set of bangles Beads bracelet set Adjustable size What makes this bracelet set better? *1 pieces of multi-layer bracelet,Giving you versatility and options. 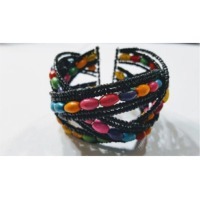 *Different colors and material bracelets assorted, Easily Matching with Any Clothes. *They look fantastic when worn stacked together or alone, fashion enough for any occasion *It will take your outfits to the next level. *Adjustable Length,suitable both for men or women,girls or boys, younger or elder people. *Must-have multi-layer bracelet this summer,perfect as daily jewelry *This bracelet will contour well onto the shape of your wrist for a comfortable wear. A Popular and Decent Accessory no Matter for Working, Traveling or Partying. Wholesale/Bulk Bracelets and/or Necklaces This listing includes 100 bracelets or necklaces or a combination of bracelets and necklaces, your choice! You can choose any bracelets and/or necklaces in our entire catalog for your order (subject to availability). Message us after your order to indicate your specific designs or colors you want. 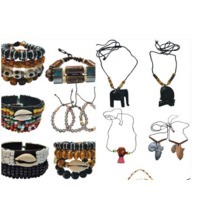 Wooden and/ or Beads Adjustable size These beautiful bracelets and necklaces are 100% handmade using high quality beads. What makes these African bracelet and necklaces better? *multi-layer bracelets and Necklaces, Giving you versatility and options. *Different colors and material bracelets and necklaces assorted, Easily Matching with Any Clothes. *They look fantastic when worn stacked together or alone, fashion enough for any occasion. *It will take your outfits to the next level. *Adjustable Length, suitable both for men or women, girls or boys, younger or elder people. *Must-have multi-layer bracelets and necklaces this summer, perfect as daily jewelry. *These Bracelets and Necklaces will contour well onto the shape of your wrist and neck for a comfortable wear. A Popular and Decent Accessory no Matter for Working, Traveling or Partying. 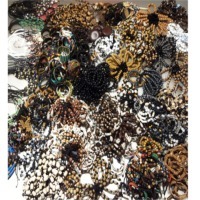 Wholesale/Bulk Bracelets and/or Necklaces This listing includes 200 bracelets or necklaces or a combination of bracelets and necklaces, your choice! 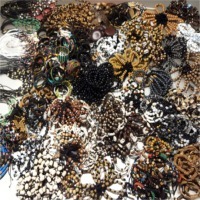 You can choose any bracelets and/or necklaces in our entire catalog for your order (subject to availability). Message us after your order to indicate your specific designs or colors you want. 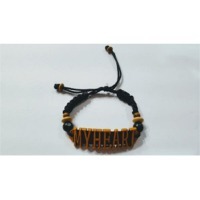 Wooden and/ or Beads Adjustable size These beautiful bracelets and necklaces are 100% handmade using high quality beads. What makes these African bracelet and necklaces better? *multi-layer bracelets and Necklaces, Giving you versatility and options. *Different colors and material bracelets and necklaces assorted, Easily Matching with Any Clothes. *They look fantastic when worn stacked together or alone, fashion enough for any occasion. *It will take your outfits to the next level. *Adjustable Length, suitable both for men or women, girls or boys, younger or elder people. *Must-have multi-layer bracelets and necklaces this summer, perfect as daily jewelry. *These Bracelets and Necklaces will contour well onto the shape of your wrist and neck for a comfortable wear. A Popular and Decent Accessory no Matter for Working, Traveling or Partying. WHOLESALE/BULK Bracelets and/or NecklacesThis listing includes 85 necklaces or 170 bracelets or a combination of bracelets and necklaces, your choice! YOU CAN CHOOSE ANY BRACELETS AND/OR NECKLACES IN OUR ENTIRE CATALOG FOR YOUR ORDER (subject to availability). MESSAGE US AFTER YOUR ORDER TO INDICATE YOUR SPECIFIC DESIGNS OR COLORS YOU WANT. 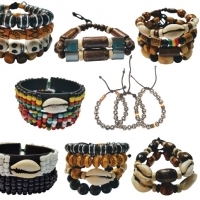 Wooden and/ or Beads Adjustable size These beautiful bracelets and necklaces are 100% handmade using high quality beads.What makes these African bracelet and necklaces better? *multi-layer bracelets and Necklaces, Giving you versatility and options. *Different colors and material bracelets and necklaces assorted, Easily Matching with Any Clothes. *They look fantastic when worn stacked together or alone, fashion enough for any occasion. *It will take your outfits to the next level. *Adjustable Length, suitable both for men or women, girls or boys, younger or elder people. *Must-have multi-layer bracelets and necklaces this summer, perfect as daily jewelry. *These Bracelets and Necklaces will contour well onto the shape of your wrist and neck for a comfortable wear. A Popular and Decent Accessory no Matter for Working, Traveling or Partying. 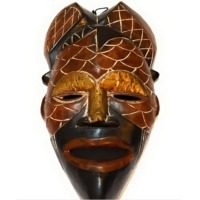 One-Of-A-Kind Handmade Assorted Designs Beautifully crafted African wood mask will add a bit of Africa to your decor. 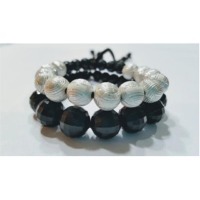 Size: 18" x 8"
Shamballa 2 Pcs Bracelets for Men Women Beaded Bracelets Multi Layer Stackable Ethnic Tribal Bracelet 2 pcs come as a set,1 set of bangles Shambala Beads bracelet set Adjustable size What makes this bracelet set better? *2 pieces of multi-layer bracelet,Giving you versatility and options. *Different colors and material bracelets assorted, Easily Matching with Any Clothes. *They look fantastic when worn stacked together or alone, fashion enough for any occasion *It will take your outfits to the next level. *Adjustable Length,suitable both for men or women,girls or boys, younger or elder people. *Must-have multi-layer bracelet this summer,perfect as daily jewelry *This bracelet will contour well onto the shape of your wrist for a comfortable wear. A Popular and Decent Accessory no Matter for Working, Traveling or Partying. Shamballa 2 Pcs Bracelets for Men Women Beaded Bracelets Multi Layer Stackable Ethnic Tribal Bracelet 2 pcs come as a set,1 set of bangles Beads bracelet set Adjustable size What makes this bracelet set better? *2 pieces of multi-layer bracelet,Giving you versatility and options. *Different colors and material bracelets assorted, Easily Matching with Any Clothes. *They look fantastic when worn stacked together or alone, fashion enough for any occasion *It will take your outfits to the next level. *Adjustable Length,suitable both for men or women,girls or boys, younger or elder people. *Must-have multi-layer bracelet this summer,perfect as daily jewelry *This bracelet will contour well onto the shape of your wrist for a comfortable wear. A Popular and Decent Accessory no Matter for Working, Traveling or Partying. Shamballa 2 Pcs Bracelets for Men Women Beaded Bracelets Multi Layer Stackable Ethnic Tribal African Bracelets - Laura Baby and Company Ethnic Bracelets Shamballa 2 Pcs Bracelets for Men Women Beaded Bracelets Multi Layer Stackable Ethnic Tribal African Bracelets B18 $4.99 $12.99 ?? FREE SHIPPING ON ALL ORDERS! 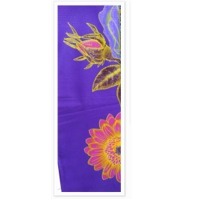 Quantity 1 ADD TO CART Wholesale Pricing	Discount	Wholesale Price Min. Quantity: 12 +	40.00% Off	$2.99 Min. 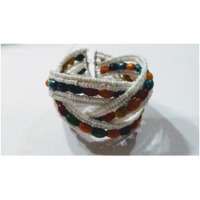 Quantity: 200 +	50.00% Off	$2.50 Deal of the Day 00:26:26 Secure and trusted checkout with Shamballa 2 Pcs Bracelets for Men Women Beaded Bracelets Multi Layer Stackable Ethnic Tribal Bracelet 2 pcs come as a set,1 set of 2 bangles Beads bracelets set Adjustable size What makes this bracelet set better? *2 pieces of multi-layer bracelet, Giving you versatility and options. *Different colors and material bracelets assorted, Easily Matching with Any Clothes. *They look fantastic when worn stacked together or alone, fashion enough for any occasion *It will take your outfits to the next level. *Adjustable Length,suitable both for men or women,girls or boys, younger or elder people. *Must-have multi-layer bracelet this summer,perfect as daily jewelry *This bracelet will contour well onto the shape of your wrist for a comfortable wear. A Popular and Decent Accessory no Matter for Working, Traveling or Partying.